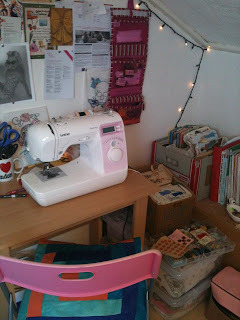 I thought I would do a post on my work space, what I use, where I store stuff etc. My 'work space' is basically a small corner of my room that has just been completely taken over by all sewing bits and bobs, fabrics, books, patterns and of course my mannequin and sewing machine! Sewing can often get pretty stressful, especially when your resources aren't doing what you would like! 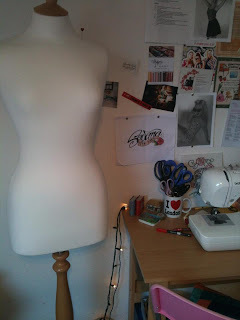 So, this sounds silly, but I named my mannequin and sewing machine, to kind of keep me sane, and I have actually heard of a few other people doing this, I'm not gonna get in to how I chose the names as i'd be typing all night, but I named my mannequin 'Trini' and my sewing machine 'Penelope'. 1. My rail purposely for finished garments I have made or altered, or pieces that are soon to be used. 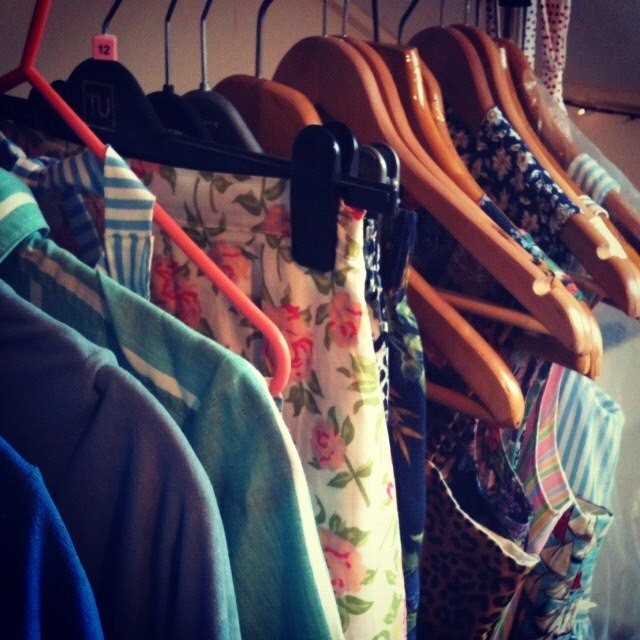 This keeps everything together and I just need to look at the rail to know what needs to be done and where I am. 2. 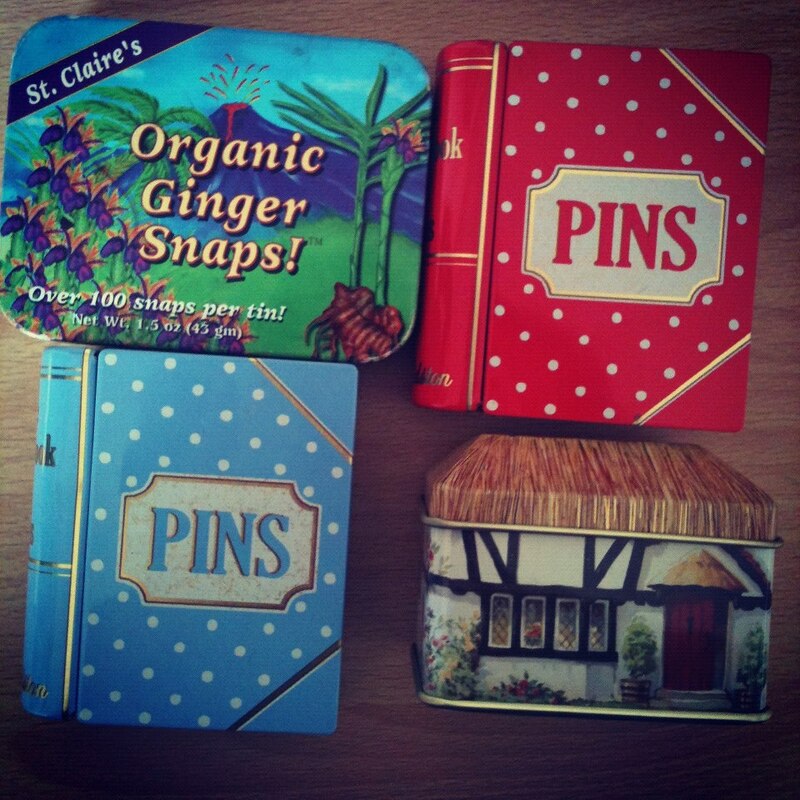 My pins used to literally grow legs and walk, and I could never find any anywhere, then for my birthday I got two of the Cath Kidston Book pin tins, they came with pins and I managed to fill them both up, I use my Vintage ginger snaps tin for needles. 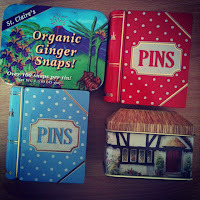 I recently went in to Cath Kidston a bought the house Pin tin as I thought it was so cute! 3. 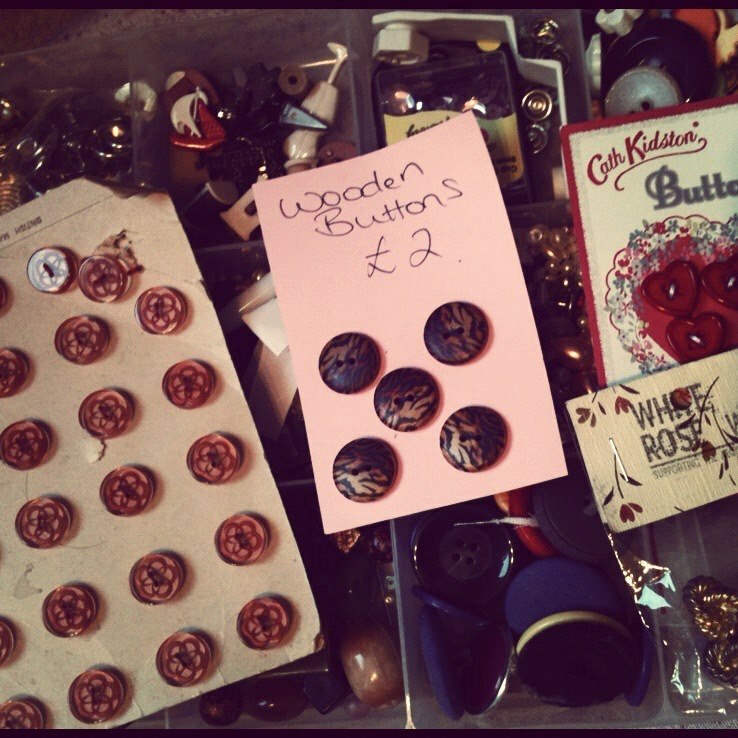 I have such an extensive button collection, every time I go in to a charity shop I normally walk out with millions of buttons! I don't really use buttons with my work I like to just have them. 4. 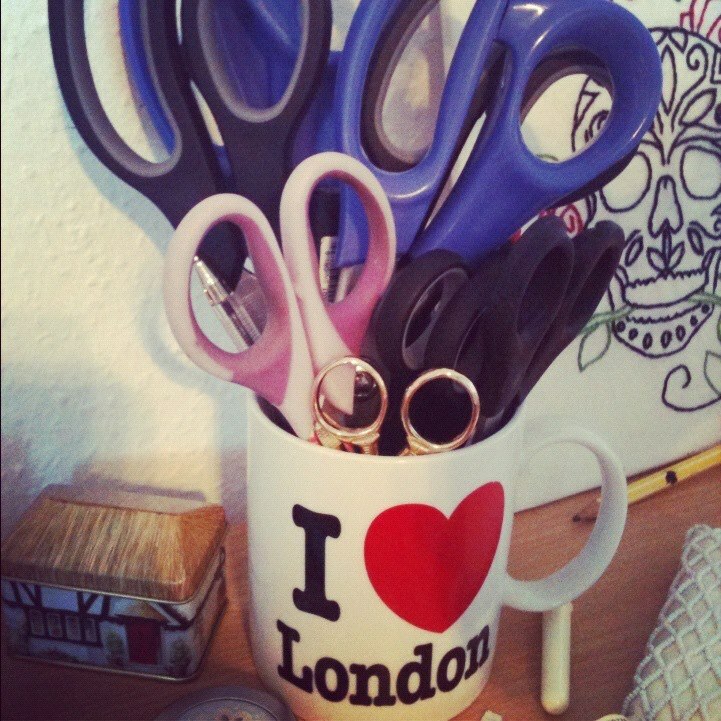 I own sooo many scissors. 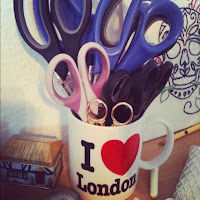 Fabric/Craft/Embroidery/Paper Scissors and pinking Shears! 5. 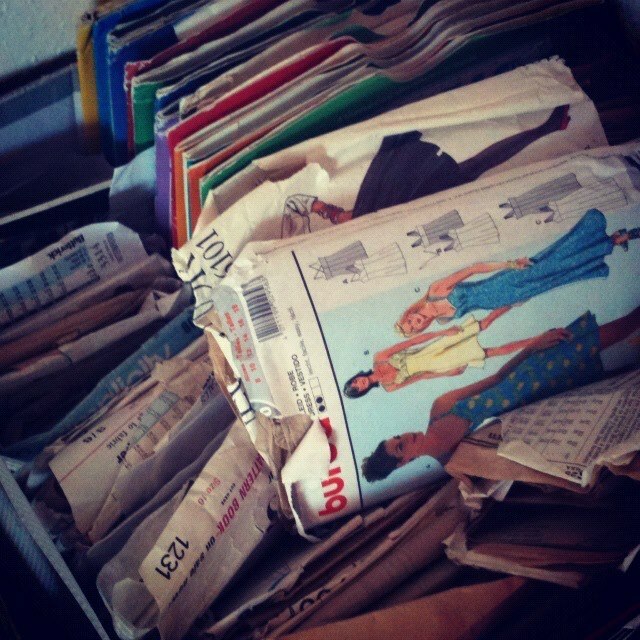 This box of patterns was kindly given to me by one of my close friends, and looking through it was like christmas, So many different era's, styles, shapes and sizes. 6. 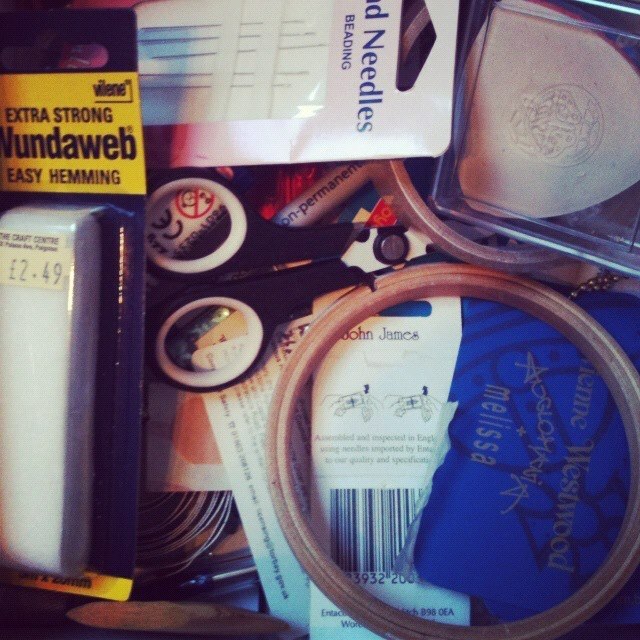 I keep all my spare sewing bits in my Vivienne Westwood shoe Box, i didn't want to chuck it and it was perfect for storage. 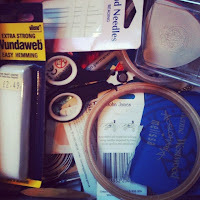 It has all my embroidery hoops, tailors chalks, tape measures, thimbles, and oh look! Another pair of scissors! Yo ho, it be chlo, wheres my section haha!